The Moon Jae-in administration’s campaign to “root out archaic irregularities” appears to have backfired as global private equity funds are rushing to file investor-state dispute settlements (ISDS) over the controversial merger between Samsung C&T and Cheil Industries in 2015. Following Elliott, which went after the Moon Jae-in government’s acknowledgement of the previous administration’s intervention in the merger, a separate U.S. private equity fund, Mason, has recently issued a similar claim. Those moves are placing the government in a dilemma over whether it should deny its own rationale or pay more than 1 trillion won (890 million) in compensation. According to the Ministry of Justice, Mason Management LLC sent a notice of arbitration to the government on Sept. 13. The letter is a notice that the U.S. private equity fund has initiated an “international arbitration proceeding” against Korea over the merger of the two companies. The NPS was the largest shareholder of Samsung C&T and the merger was expected to help Samsung Electronics Vice Chairman Lee Jae-yong to tighten his grip on Samsung Group. 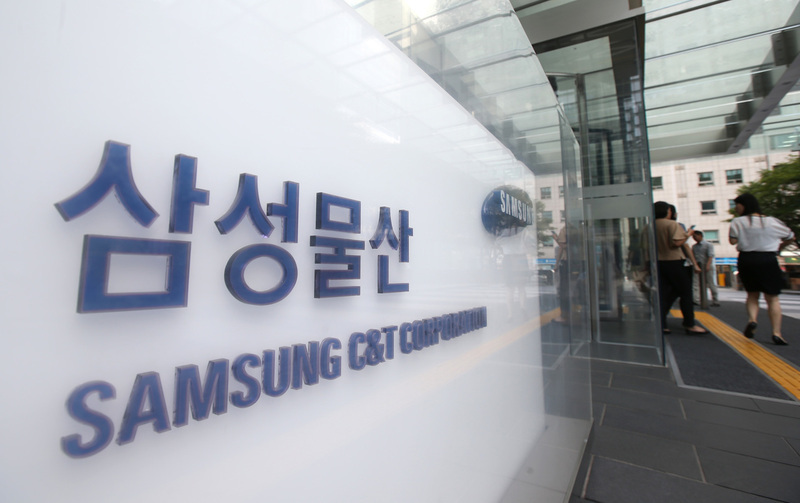 At that time, Mason, which held a 2.2 percent stake in Samsung C&T, opposed the deal with Elliott, which had a 7.1 percent stake, saying its stake was undervalued in the stock swap between the two companies. “Through this scheme, Korea acted both by improper means and with improper motives, in breach of the free trade agreement between Korea and the U.S.,” Mason said in the letter. Amid investigations of former President Park’s corruption scandal, then Health and Welfare Minister Moon Hyung-pyo was found guilty of abusing his authority in the NPS by voting in favor of the Samsung C&T deal after pressure from Park. And this appeared to have provided the logic for the private equities. In the ISDS case by Elliott, the fund also used similar logic that the Moon government has acknowledged was used in the alleged intervention by the previous administration, thus the government is responsible for its claimed losses. In its filing, Elliott sought at least $770 million in compensation. Over the attack by the private funds, the government seems to be trapped in a dilemma. Last month, the government stirred up controversy with liberal pundits after quoting Lee’s appeals trial finding no “implicational request” from Samsung asking the government to influence the merger. It was powerful logic claiming that the government is not liable with Elliott’s alleged losses but at the same time interpreted as the government denying its own rationale. Song stressed that the government’s intervention did not hamper Elliott from agreeing or opposing the merger. “If the government or the NPS were to have a direct legal relation with Elliott, the fund’s claim may make sense, but the NPS’s action did not prevent Elliott from exerting its rights,” Song said. Unlike earlier expectations, both Elliott and Mason opted to take their cases to the United Nations Commission on International Trade Law (UNCITRAL), not the International Centre for Settlement of Investment Disputes (ICSID), where majority of investors resort to for their ISDS cases. The two rules share the basic principle of appointing three arbitrators — representing both claimant and respondent and one neutral arbitrator — as the tribunal. However, the ICSID at least opens what stage a dispute is in, while the UNCITRAL does not disclose its arbitration process. Song said that Mason seemed to choose UNCITRAL because its arbitrator, Dame Elizabeth Gloster from One Essex Court in London, is more familiar with the UNCITRAL procedure. Along with the litigation of the two funds, the government is facing an increasing number of ISDS cases this year. In July, Swiss elevator manufacturer Schindler sent a notice of intent for an ISDS, claiming it suffered damages because the government looked on Korea’s Hyundai Elevator’s “unfair recapitalization.” Schindler is the second-largest shareholder of Hyundai Elevator. Schindler is yet to commence its ISDS and is instead in negotiations with the government, according to sources. Reportedly, the first round of negotiations with the government went unsuccessfully with both parties failing to narrow their differences. Adding ongoing ISDS cases sought earlier, such as the 5.3 trillion won Lone Star Funds case, Korea is facing ISDS cases worth more than 6.5 trillion won. The government has poured in more than 40 billion won for the ongoing ISDS case against Lone Star Funds since 2013, with more than 80 percent of the money going to law firms Bae, Kim and Lee (BKL) and Arnold & Porter. BKL is also representing the government in the Schindler case. Lee & Ko is representing the government in the cases raised by Elliott and Mason. The two funds are represented by KL Partners, which was established in 2015 but growing rapidly as a corporate case specialist.